I have been looking for these for a long time. Very happy that MK has them. Been looking for quilted pillow covers for sometime. These are reasonable priced. The reviews sounded the best of all the products I'd seen. Have been looking for cases like these. A great price! 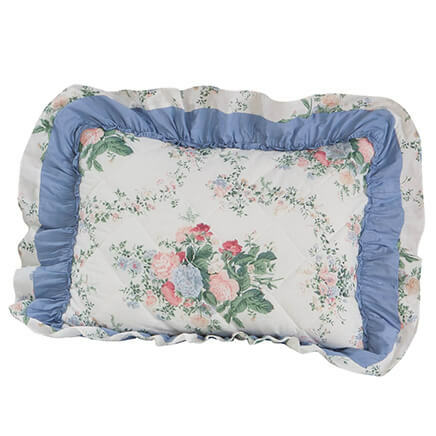 Mom always used quilted covers on her pillows; I like the comfort also. Makes the pillows feel a little more substantial and softer. Also protects the pillows themselves. 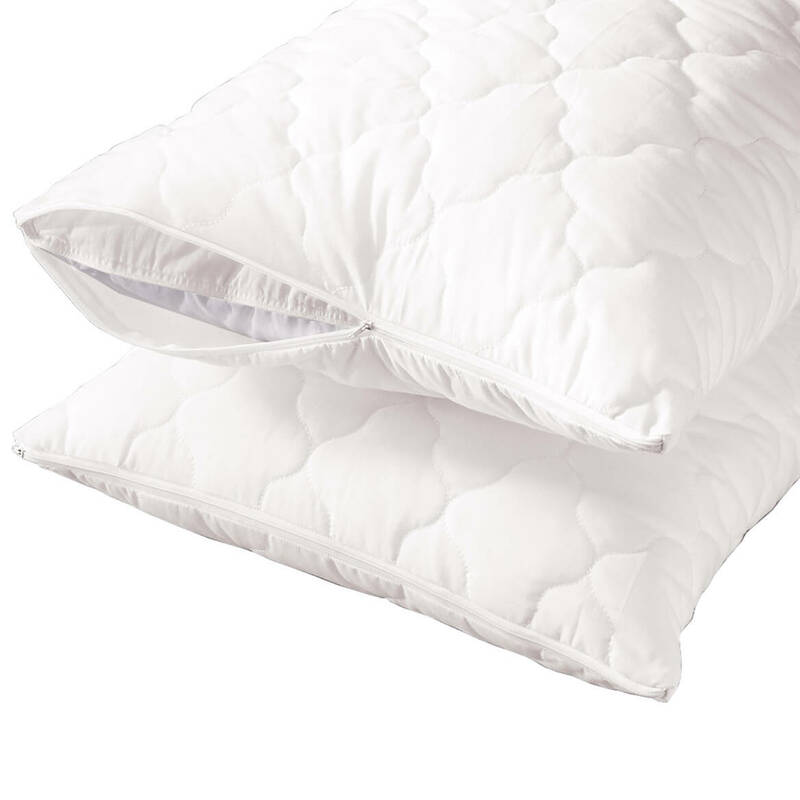 The fact that this pillow cover is quilted means you have more protection for the pillow. If someone perspires heavily, a regular pillow cover just doesn't cut it. I used to wash my pillows frequently before using this cover. Trying them for the first time have to get back to ya on this. These are comfortable and wash up nicely. They protect the pillow nicely. I needed more than I had available. I have used these for as long as I can remember. They're a great way to keep pillows clean. These are the only quilted pillow covers I can find. All the others are just thin material and in my opinion do not protect the pillow. I love quilted pillow protectors the cotton thin ones show stains all the way down to the pillow. It's a great way to keep your pillow clean and they are easy to bleach. I've used these pillow protectors for years. They are truly pillow savers! Been looking for this type of pillow cover for a few years and found it here. 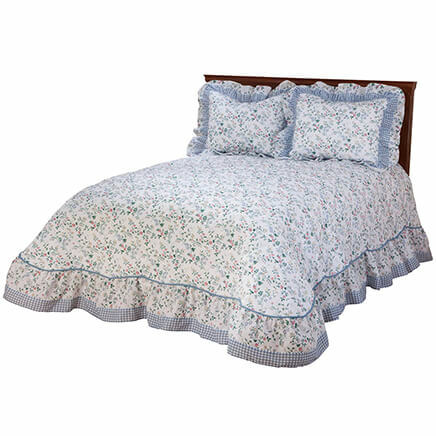 I have some others but don't remember where I bought them and the quilted covers are the best. Have ordered these before and have been very satisfied. 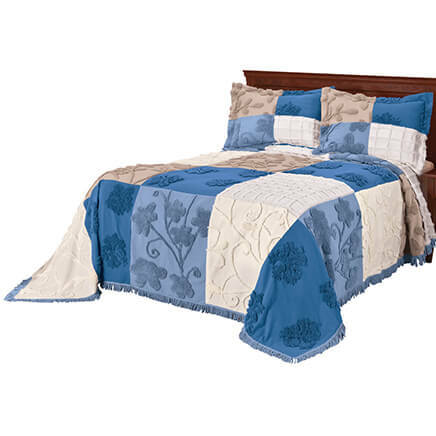 These quilted pillow cases protect and keep my pillows in excellent condition under their regular pillow cases. Because I needed pillow covers, and the quilted ones seem very nice. Have been purchasing my pillow covers from Miles Kimball for years. They are economical and hold up beautifully. We just purchased new mattresses and decided to update our pillow covers too, so back to Miles Kimball we came! I also love that they come in packs of 2! to protect my pillows and give them a little more body, works nicely. I think these are the best pillow covers, I have purchased them before and now need some new covers. I have bought these items for years. They are comfortable and keep your pillows clean. Had these previously and love how they protect and plump pillows. Dogs like them, too, as one of my pups insists on chewing the zippers??? Love them. I bought these quilted pillow covers because they looked like they would make my pillow even more cozy, and the reviews that I read confirmed my thoughts. I needed pillow covers. The price was reasonable and the quality turned out to be quite good. I have been looking for quilted pillow covers for sometime. Was very "HAPPY" to have found them at Miles Kimball on-line. Did purchase some for other pillows I own in stores, but do not carry them in anymore department stores. Sad to inform that items that are used very day are not available anymore. Pat O. Do these pillows keep you cool at night? BEST ANSWER: I would say yes, because under the quilted cover I use a protective waterproof case to protect against dust mites and keep the pillow clean. Using the quilted cover between the waterproof case and the pillowcase not only makes the pillow feel cooler, but also helps keep the pillow clean. The pillow covers do not affect temperature at all. Their purpose is to keep the actual pillow inside from getting dirty or stained. 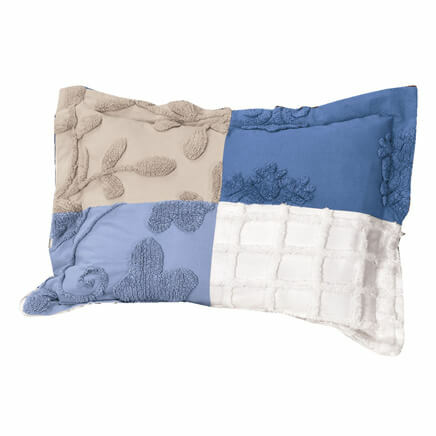 It is much easier to remove the pillow covers and wash them, since an actual pillow can't really be washed. They are comfortable, and a great pillow protector from facial oils and perspiration. 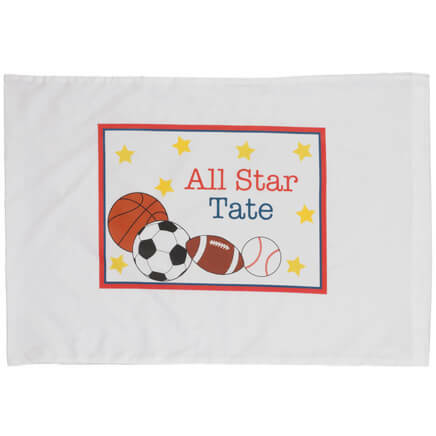 They are made of a polyester material which is not known as a "cooling" type of material as some specialty covers are. This isn't a pillow, but a pillow cover / protector that you can take off and wash. I haven't noticed that they keep me cool or make me warm, but I don't think they have any cooling properties. These are pillow covers not pillow cases. These covers are of very good quality and I was so pleased with them I bought another set. My husband says no. I buy them to protect my husbands pillow only. I don't use them. Yes. they are comfortable and do not make me sweat when I sleep on them. Is the price for these covers for a pair? BEST ANSWER: Thank you for your question. The covers come as a set of 2. We hope this information will be of help to you.